THAT AN ADDICT, ANY ADDICT. CAN STOP USING DRUGS, LOSE THE DESIRE TO USE, AND FIND A NEW WAY TO LIVE. I remember when I thought that I didn’t matter. That no one gave a damn if I lived or died. I felt like I was invisible, alone, miniscule. I was defeated by a disease that wanted me dead and was slowly chipping away at what was left of my being. I was dead inside, mentally distraught, physically worn out and spiritually bankrupt. I wouldn’t wish that kind of despair on anyone. 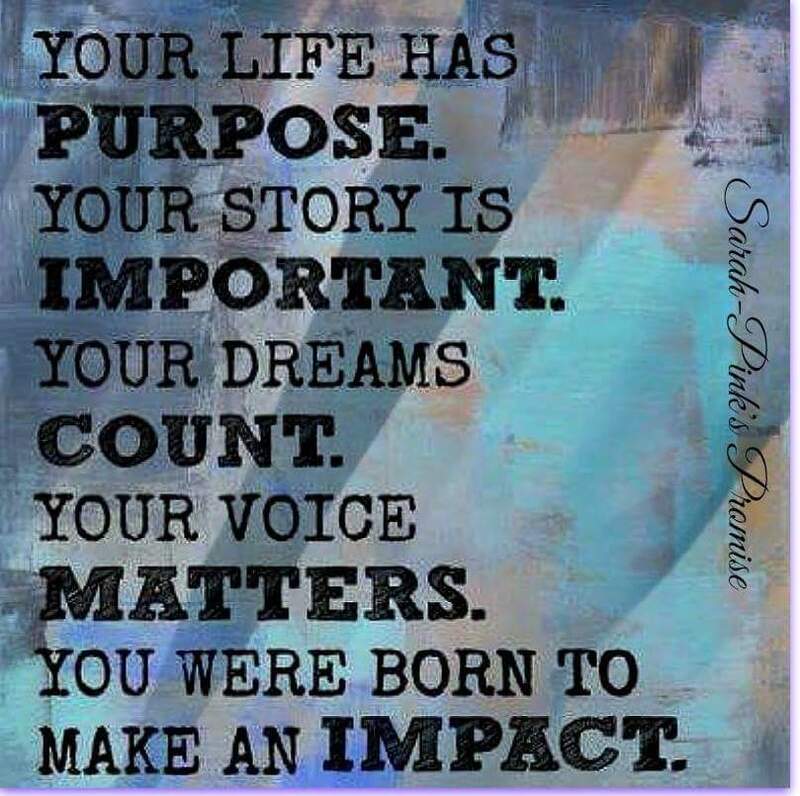 I am so grateful to have a purpose today. Recovery has given me a reason to live. I believe in myself and I know that there’s a reason I was spared the destruction, desperation and eventual death. I have been given a second breath of life to share my story and spread hope. I know that my story is important. That my hopes and dreams count. I want others to know that theirs does too. That they to can come back from their addiction, live life and not just exist in a state of utter desperation, degradation and isolation. You Do Matter. Help is available all you have to do is ask. Give yourself a break. Good words Eric for anyone who is struggling with any of life’s problems, and there are many struggling, and there are many different problems and circumstances we all find ourselves in. As you said Eric, your’s and every persons life matters and has a purpose. We need to seek our purpose, and at times listen to others for what they may see within us. Then, as you are so capably and positively doing, share our recovery experiences as encouragements to others, whatever we may be recovering from. God’s Blessings Eric as you continue to bless. Thank you George. As I continue on my road to recovery I am becoming more and more aware of others and their journeys as well. I am grateful to be able to share my experiences with others and equally grateful for all the feedback, comments, suggestions and encouragement. I pray that everyone can find some kind of relief from what ever they are going through and find recovery as I am finding it. God bless you and thank you for your support. What wonderful words of hope. I too feel as you do, and am trying my hand at this blogging, hoping to share with others how I overcame both addictions and life’s challenges. Thank you. I appreciate your kind words. Good for you. I look forward to reading your blog. Welcome to the world of recovery blogging. Peace and blessings.